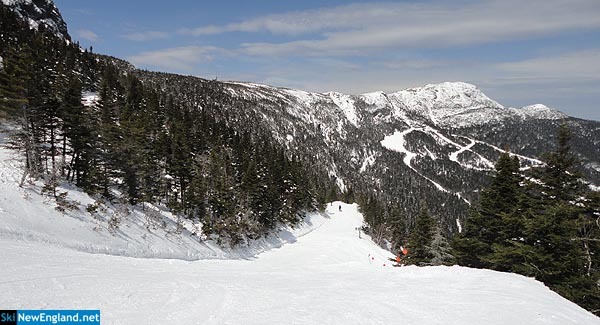 Located on the eastern shoulder of the tallest mountain Vermont, Stowe Mountain Resort has long been known as a premiere New England ski destination. Stowe has had the most expensive lift ticket in New England for over a dozen years. Six areas have rates of $100 or more; Stowe sets record at $131. The new lot would be located near the Toll House base area. The dramatic decrease in season pass pricing is expected to increase skier visits. AIG has retained real estate holdings at the resort. Multiple publications are claiming a sale may be imminent. Eight ski areas in three states are projected to operate on Wednesday. State reportedly identifies Jake Burton Carpenter as reservation holder the day of the fire.